The Dante Quartet was founded by Krysia Osostowicz in 1995, its name inspired by the idea of an epic and challenging journey. The quartet has appeared at all the major UK festivals and concert societies, as well as in many European countries, and has just made its first tour of Japan. Recipient of many awards, including the Royal Philharmonic Society Award for Chamber Music, the Diapaison d’Or and the BBC Music Magazine Award, the Dante Quartet has recorded several discs for Hyperion – including works by Kodaly, Smetana, Sibelius, Faure, Debussy and Ravel – and has just begun recording Stanford’s complete quartets. 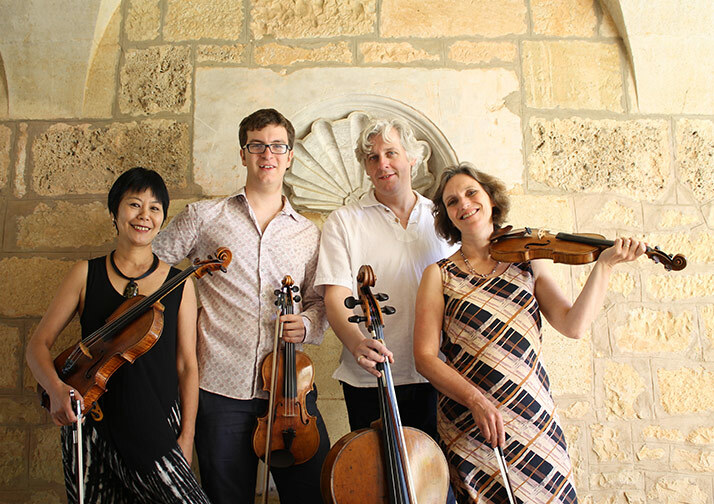 The Dante Quartet has held a seven-year residency at King’s College, Cambridge, and gives annual chamber music courses in England and France. They will be playing string quartets by Beethoven, Shostakovitch and Smetana.